By Hazel Chua on 04/28/14 • Leave a comment! What better time to head out and go camping than summer? Fresh air, green grass, birds chirping–it’s time to replace your drab old gray tent with the What a Melon tent by FieldCandy. If you have $655 to spare, that is, because that’s how far this eye-catching tent will set you back. 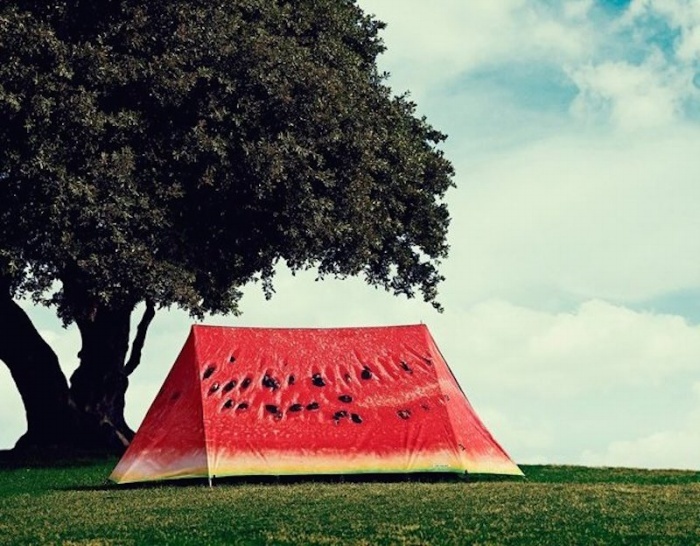 It might seem like a novelty product, given the fact that it’s essentially a tent that looks like a giant watermelon, but you can expect the usual quality since it’s by FieldCandy after all. It’s made from durable materials that can withstand even the harshest weather conditions. The set comes with a designer flysheet, a matching bag, an innter tent, A-frame poles and pegs, waterproofing, an owner’s manual, and a carry bag to stuff everything in. By David Ponce on 08/01/12 • Leave a comment! We love camping as much as the next guy, but we’re just not sure that paying $1,800 for a tent is going to make things better. The Sierra Designs Mojo UFO tent tries to be special in a few ways. First off, it’s fairly light, weighing in at 1 lb. 11 oz. or 0.76 kg (tent, integrated rain fly and poles) and measuring “50 inches (127 cm) wide at the head, tapered to 41 inches (104 cm) at the feet.” And granted, that’s pretty light and easy to carry. 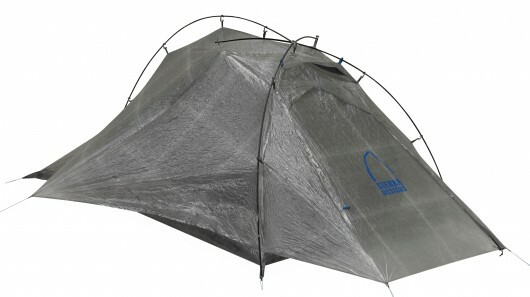 But it’s not the lightest tent on the market; that award seems to go to the “Sea to Summit Specialist Duo [which] weighs just 1 lb. 6 oz. (0.62 kg) when pitched with hiking poles.” That tent is $500. Also, the Mojo UFO is made from a pretty fancy fabric called cuben fiber, “an ultralight, highly durable fabric used in sailcloth,” and the pitching poles are made of, well, pure carbon fiber. Year. Carbon fiber. We’re not entirely convinced (read: not at all) that this is all worth $1,800, but hey, we know plenty of people with too much cash, and a penchant for camping, who’d likely throw it at Sierra Designs in a heartbeat. They can do so next week, when the tent debuts at the Outdoor Retailer Summer Market.